From Prague friends write in their uneven English, always better than my clubfooted Czech, “Here we live now a little in a madhouse. I hope only that we shall be saved before too great idiocy. 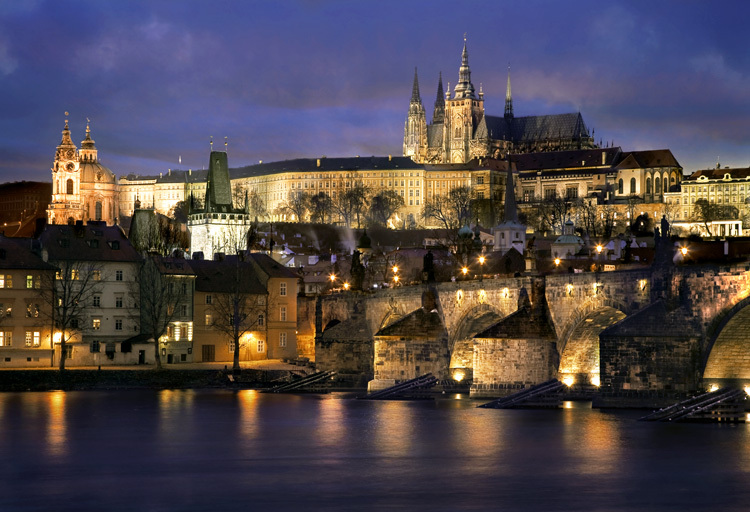 To teach and to learn the democracy is the most hard work in the world,” reports one, a professor who was purged from Charles University twenty years ago. Later she joined the Magic Lantern Theater, long before it became the headquarters of the Velvet Revolution. Toward the beginning of last summer I was standing in the third courtyard of Prague Castle, watching Havel on the ceremonial balcony , a wet wind stirring his pale unpresidential curls as he surveyed the fond crowd. Havel’s appearance was the centerpiece of a post-election “Carnival of Democracy.” Giant witches and harlequins loped about on stilts, not one tendentiously identified with clownish old-regime ogres, and opposite the cathedral a military orchestra rendered, not too strenuously, Czech folk melodies. None of the citizens of the Velvet Revolution shoved for position, and strangers shared umbrellas in the intermittent drizzle: natives claim that Czechoslovakia’s climate is changing as quickly as the politics. There followed another month of moody Prague weather, from a heat wave of Mediterranean intensity to storm clouds piling in a Baltic chill. Every day new hordes of tourists beat the canonical cobbles from the Clock Tower over the Charles Bridge and up to the Castle. At the base of the long slope of Wenceslas Square, a horse market before it was a political forum, tourists were mixed with punk flaneurs and black-market moneychangers. Across from the Powder Tower, the Czech history exhibit, which had spilled from a huge hall onto streetside kiosks, had been dismantled. Praguers had been effectively reminded of people and events long suppressed—starting with philosopher Tomas Masaryk, founder of the First Czech Republic, a non-person under the Communists, and including full accounts of the brutal Stalinist show trials and the 1968 invasion. At the back of the dark exhibition hall, near a film of the recent revolution, a row of the transparent plastic armor of Husak’s riot police had an eerie immanence. But already in July controversies were piling around the new government—Havel’s freighted encounter with Kurt Waldheim, and the ever-present Slovak nationalism, embodied in a new memorial plaque at the birthplace of World War II Slovakian fascist leader Josef Tiso. Grumbling was general about price rises, a pre-Kuwait gasoline shortage, and the slow pace of legal and economic reform. For example, how were the courts, still operating in the old legal frame with many of the old personnel, to deal with thousands of petitions for return of private property? Meanwhile, some wondered aloud or in print whether secret police operations had truly been suspended. Obviously the carnival was over and the hard part beginning. Maybe we wish Havel well not just because of his singular displays of wisdom and humor, courage and humility—qualities now rare among western leaders—but because of our fantasies fulfilled in his cabinet of writers and professors, architects and artists. They are people we can, so to speak, identify with, and they know each other as well as, say, the faculty of a small American college. But after losing twenty or more years of their productive lives under Communism, they now have not just personal and artistic freedom, but the heavy weight of making democracy and free enterprise work beyond that first revolutionary exhilaration. 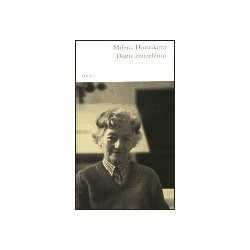 Still, as the summer passed, crowds were clustering happily around sidewalk tables set up as ad hoc markets for fresh piles of novels and essays by formerly banned writers like Josef Skvorecky and Havel himself. Despite an ongoing paper shortage they were usually priced at less than a dollar. One noon I walked, loading my bag en route with new books, to meet a friend for lunch at U Zlaty Had. The Golden Serpent is where coffee was first introduced in Prague, and the booths are probably more uncomfortable than they were in the eighteenth century, but they give a certain illusion of privacy. Yet because in Prague everyone seems to know everybody, one tends to lower one’s voice when talking politics, even these days. Ironically enough, after examining my booty my friend went on to confirm something I’d heard: that Czech publishers, without government subsidies, will be printing mainly moneymaking bestsellers, native and foreign, along with the technical books now in demand for the retooling of antiquated Czech industry. The latest publishers’ lists, especially of scholarly books, poetry, and serious fiction, were already showing drastic cuts. Moreover, artists were complaining about inflated rents for work space. Even theaters, Prague’s particular pride, were in trouble without governments subsidies. After the initial honeymoon of Czech democracy—Masaryk’s enlightened First Republic, squeezed between the Hapsburgs and the Nazis—the Communists took over in 1948. Then came forty years of the most completely nationalized economy in Eastern Europe. And although totalitarianism killed personal freedom, polluted the environment, and destroyed Czech craftsmanship and individualism in countless ways, there was full employment and enough beer, pork, and dumplings to go around. Everyone had a job, whether or not everyone worked. Often I saw a half-dozen silver-haired women supervising a matinee movie audience of four or five. But the bankruptcies and layoffs of a free market economy were beginning. Already there were homeless in parks and at the railroad stations. 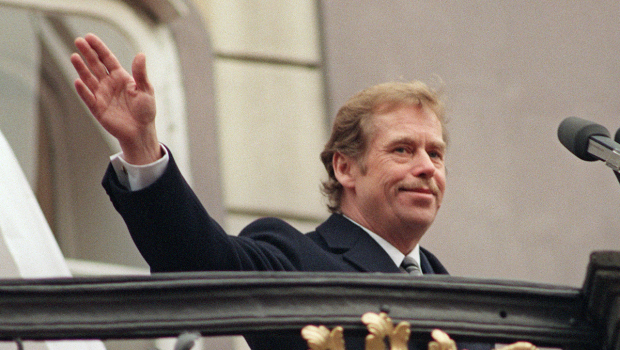 Czechoslovakia split in 1993, into the Czech Republic and Slovakia; Vaclav Havel died in 2011. While no anniversary is looming, reconsiderations seem to be clustering around some of the main actors and actions in post-communist states, the Czechs in particular. Maybe the focus is connected with interest in the dynamics of revolutionary and post-revolutionary states in the news every day, from Ukraine to the Middle East and Africa. In this week’s New Yorker Magazine, Milan Kundera, still the most famous Czech-born writer, publishes a new short story, “The Apologizer,” which reads as if translated from the French, which of course it was. Kundera has lived in Paris since 1975, has been a French citizen since 1981; in a recent New York Review of Books, Paul Wilson genially reviews a new biography of Vaclav Havel, by Michael Zantovsky; Elzbieta Matynia has done the considerable service of translating and editing two decades of conversations between Vaclav Havel and Polish intellectual Adam Michnik. In the original Threepenny Review version, the apposite Czech diacritical marks appeared, and there were no photos. The version anthologized in TABLE TALK FROM THE THREEPENNY REVIEW is surrounded by a plethora of notable “pithy, literary” pieces.